Eye Care | Eye Clinic Ardmore | Sherry Eye Clinic, P.C. Having poor vision makes it hard to enjoy your daily activities and holds you back from having an active lifestyle. When you need high-quality, comprehensive eye care services, Sherry Eye Clinic, P.C. in Ardmore, OK is the eye clinic to visit. With the help of our resident, board certified ophthalmologist, Dean M. Sherry, M.D., you can now have the clear vision you’ve always wanted. For 22 years, Dr. Sherry has been helping countless patients throughout Southern Oklahoma, providing thorough eye care services. Get the most out of life and don’t let an eye disorder stand in your way. A better future is just ahead of you, and it only takes a visit to our eye clinic to set your goals in motion. Schedule a medical consultation today by calling us at 580-226-3100. We participate in most insurance plans and we also accept Medicare assignments. 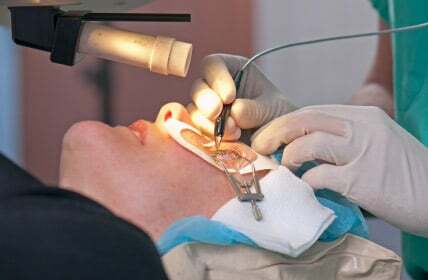 Let us give the right treatment to your eye problems. Copyright © Sherry Eye Clinic, P.C., 2015. All rights reserved.